Preacher: Larry W. Dean (46), Tom Henry (3), Wayne Camp (2), George McGuinnes (1). Service: Sunday Morning (49), Special event (3). Preached by Larry W. Dean on December 25, 2011 (Sunday Morning). Preached by Larry W. Dean on December 11, 2011 (Sunday Morning). Matthew 5:33-38 (Part of the The Theme of Christ's Ministry series). Preached by Larry W. Dean on December 4, 2011 (Sunday Morning). Matthew 18:21-25 (Part of the The Theme of Christ's Ministry series). Preached by Larry W. Dean on November 27, 2011 (Sunday Morning). "Thou shalt do no murder..."
Matthew 5:19-26 (Part of the The Theme of Christ's Ministry series). 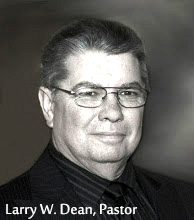 Preached by Larry W. Dean on October 23, 2011 (Sunday Morning). Preached by Larry W. Dean on October 16, 2011 (Sunday Morning). (Part of the Visiting Pastor series). Preached by George McGuinnes on October 9, 2011 (Sunday Morning).